Jeremy Brockman is an Emmy award-winning cinematographer from Detroit, MI. He earned a B.S. in electrical engineering from Wayne State University. Not having a film school education, Jeremy was able to learn much about the craft by freelancing as a camera assistant, and eventually camera operator for narrative shorts, documentaries and music videos. His love for cinematography comes from his belief that powerful imagery can create significant change in society. 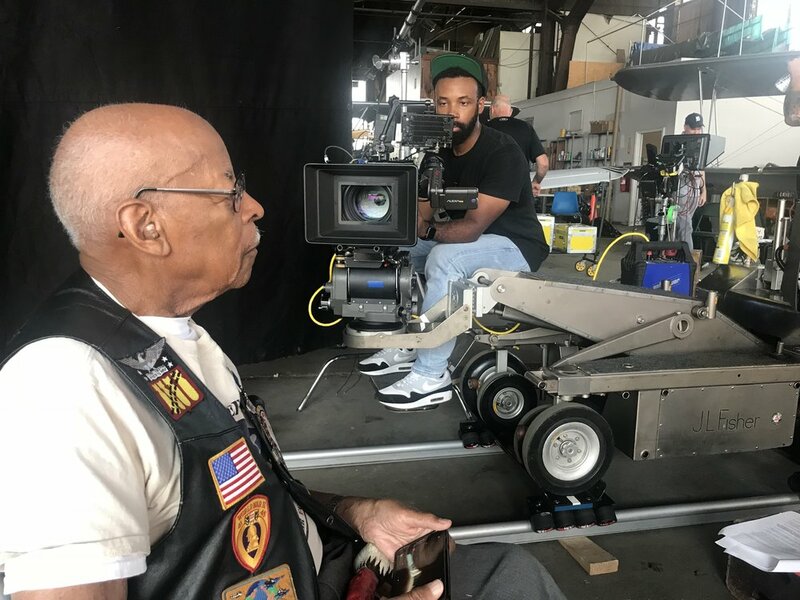 He earned an Emmy award in 2018 for his work on a short documentary about The Lyricist Society, an alternative high school music program in Detroit. He currently serves as a filmmaker for TheNeighborhoods.org, producing documentaries about Detroit’s culture and revitalization. Jeremy recently completed work on the narrative short film, One Sweet Night, a historical drama about the Dr. Ossian Sweet case in 1920s Detroit. Shooting an interview with Tuskegee Airman Lt. Col. Alexander Jefferson. On the set of One Sweet Night with gaffer Lara Sfire.